Good things come in small packages – and so do great things, such as xiao long bao. We've scoffed down millions of these magnificent mouthfuls in our quest to bring you Melbourne's best dumplings and the restaurants that house them. Bao down to the mighty dumpling at these top places – and let us know which ones are your favourite! 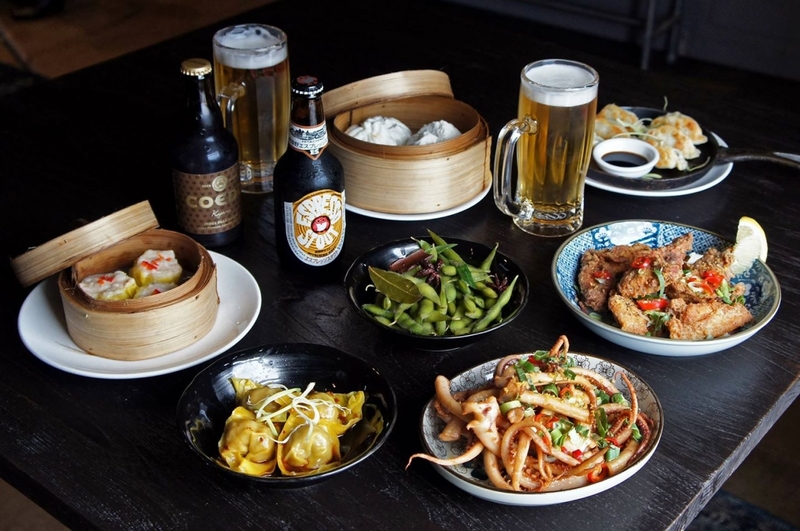 In the short time they've been open, Charlie Dumpling have well and truly won over our hearts (and stomachs) thanks to their stellar lineup of dumplings. Sure, we named their Smoked Chicken Salad one of the best salads in Melbourne, however their dumplings win the 'favourite child' competition - how could they not with dumplings such as snapper, chilli and black bean, and crispy salmon, tobbiko, leek and turmeric on the menu? Oh and did we mention they do a devilishly good dessert version too? Filled with milk chocolate, sprinkled with chilli sugar and served with house made raspberry sorbet, the dessert dumplings (heck, the whole menu for that matter) easily make our list of best dumplings in Melbourne. Let your tastebuds do the travelling at Kabul Restaurant & Cafe - the most authentic Afghani restaurant this is! They offer traditional dishes such as aush (noodle and vegetable soup), kebab and mantoo. To say the latter are steamed lamb dumplings is accurate, but doesn't do the dish justice. The minced lamb filling is laced with fragrant cumin, the pasta-like wrapper is handmade, and the large, plump parcels are topped with both a tomato-y lentil sauce and a garlic yoghurt sauce, making this one of the most complex dumpling dishes around - and also one of the tastiest. Oriental Teahouse. Image credit: Oriental Teahouse Facebook. For a dumpling pig out you can't beat yum cha, and for good-value yum cha it's hard to beat Oriental Teahouse's Friday night deal – all-you-can-eat for $30 (available at the Little Collins Street restaurant only). But all four Oriental Teahouses, with their slick, modern fitouts, extensive drinks menus (including interesting options for tea-totallers) and some of the best dumplings in Melbourne, are worth a visit anytime. The football dumplings – juicy pork mince encased in a deep-fried, pleasantly chewy and slightly sweet glutinous rice flour pastry – are a standout, and the char siu bao have just the right balance between thick, fluffy dough and barbecued pork filling. You can even have dumplings for dessert – custard bao are the traditional choice, but the chocolate dumplings are also tempting. Don't try to choose between the two – have both. This cheap and chic Japanese cafe is best known for its lunchtime bentos and its slurpalicious ramen, but it also offers great gyoza. Dontoo's moreish mouthfuls are a textural delight, with a tasty mix of pork and cabbage encased in a smooth dumpling skin that's fried until crispy on one side. The gyoza and ramen appear only on the dinner menu, but we reckon that's just a good excuse for lunchtime punters to eat here twice in one day. Food and shopping go together like change rooms and hours of deliberation. If you can't decide which new outfit to buy at Emporium, take a break and head to Dumplings Plus in the shopping centre's funky new food court. Here you'll find some of Melbourne's best dumplings, and the hardest decision is whether to have the Northern Chinese-style pan fried pork and chive dumplings (they're like gyoza on steroids – bigger and with thicker skin), the delicate steamed prawn and chive dumplings, or the xiao long bao. Squeeze in a sweet bean-paste-filled sesame ball for dessert – the glutinous rice dough is pleasantly chewy, while the sesame seeds add flavour and crunch. They're sure to fuel you up for another round of shopping. Dumplings Plus. Image Credit: Dumplings Plus. After reading this Polish vodka bar's marathon-length menu – which starts with about a million kinds of vodka, includes loads of creatively named cocktails such as 'Your mother was a hamster and your father smelt of elderberries' and ends with a list of traditional hearty dishes – you'll have worked up an appetite. After the Tears is steaming with goodness. So reward yourself with a plate of pierogi (Polish dumplings); the juicy shredded beef and chicken filling is encased in dough that's just the right thickness, and they're fried in butter and served with bacon bits, which makes them (a) absolutely delicious and (b) perfect for soaking up all that vodka. $25 will bag you a handful of some of the best dumplings in Melbourne; they're not cheap, but they're worth it. The decor's a bit 'interesting' here, a mishmash of various European styles, but after several shots and another round of mouthwatering pierogi, we don't really care, and neither will you. Get into a steamy relationship with some hot buns at Wonderbao. Top of many a best dumplings list, Wonderbao attracts quite a crowd at lunchtime, so get in early for bao (steamed buns) with tasty fillings such as barbecue pork, lap cheong (Chinese sausage) or shiitake mushrooms and tofu (yes, even the tofu is good here). The soft and fluffy bread-like pastry is also used to create gua bao, a Taiwanese snack that would probably be called a 'deconstructed dumpling' on a cooking show but is actually closer to a sandwich than a dumpling. Whatever, when they're filled with excellent roast pork belly – or, in the vego version, crispy fried tofu and a peanutty soy sauce – we just call them delicious. What do you reckon Urban Listers? Have we included your faves in our round up of Melbourne's best dumplings? Wonderbao. Image Credit: Wonderbao Instagram.